Folks who live on the coasts often joke of “fly-over country,” the swath of land that actually makes up the majority of this great nation. From 37,000 feet, the plains are a patchwork quilt of farms and rivers. This should not be ignored and should be examined from the ground, especially Omaha, Nebraska’s largest city. Here, brewery visits are easy, as many operate within walking distance or a short drive of each other. With a thriving beer and food scene, plus a mix of metropolitan and cowboy, there’s a lot to enjoy and discover. After landing at Eppley Airfield, hard against the Missouri River and the Iowa border, drive south on Route 75, through downtown, where it’s impossible to ignore the symphonic Mutual of Omaha theme as you see the company’s buildings against the skyline. We’ll come back to the city tomorrow, but for now it’s off to the southern suburbs of Papillion and La Vista. 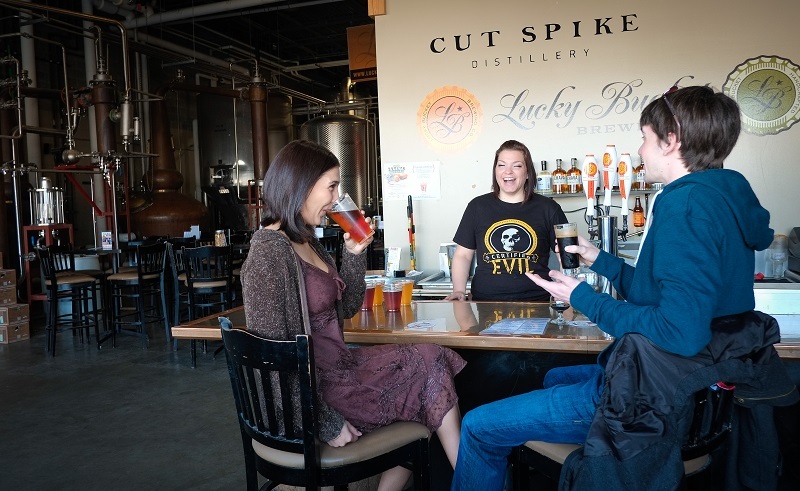 Kick things off at Lucky Bucket Brewing Co. (11941 Centennial Road, La Vista) and get acquainted with the core lineup via a flight that includes the lager, wheat and the American imperial porter known as Certified Evil. Now, it’s time to visit Nebraska Brewing Co., the state namesake with the impressive lineup, loyal following and growing distribution footprint. 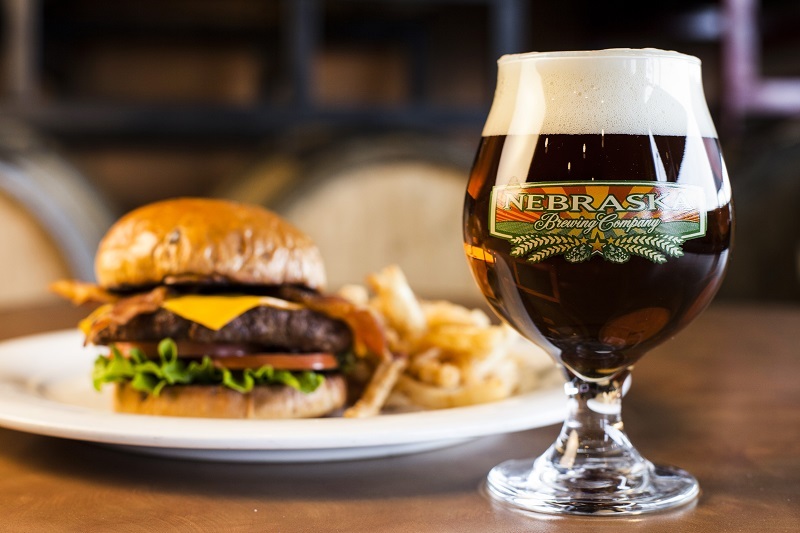 Nebraska Brewing has two locations a short distance apart. The first, the production brewery (6950 S. 108th St., La Vista) with adjoining tap room offers a congenial atmosphere where locals and tourists alike quaff the core lineup and some specialty one-offs. Then there’s the original location, the brewpub (Shadow Lake Towne Center, 7474 Towne Center Parkway, #101, Papillion). With its stellar chef, the kitchen serves up hearty dishes to complement the core and experimental beers. If the Omaha Storm Chasers, a Triple-A affiliate of the Kansas City Royals, are in town, head to Werner Park (12356 Ballpark Way, Papillion) and catch a game. Soak in the great American pastime with a round of local beer. It’s time to hit the big city. Big Mama’s Kitchen (3223 N. 45th St., Omaha) is an Omaha staple and specializes in soul food. Mother Dear’s Breakfast Casserole is just what you need to lay down a proper base for the day ahead. Visit the Old Market (oldmarket.com), the downtown arts & entertainment district. It’s a good place to experience the old and new Omaha, awash in local flavor. With a fresh appetite worked up, drive over to Benson Brewery (6059 Maple St.) and get some beef and beer. This is the land where cattle thrive, after all, and from the burger to the steak frites, Benson has you covered. Pair with a Brewer’s Duet, a coffee beer. Or ask if the amphora-aged beer (as seen in the Vol. 36, No. 1 issue of All About Beer Magazine) is available for sampling. From Benson it’s a block walk to Infusion Brewing Co. (6115 Maple St.) for a flight, or a pour from the limited IceBox series—poured from a repurposed classic refrigerator. Don’t dally, because it’s time to get to Beer Corner USA (3578 Farnam St.). Encompassing nearly a block of beer-loving delight, it’s a combination of several bars, restaurants and a bottle shop. Many have spent entire weekends (or longer) visiting just this spot and leaving completely satisfied. Follow your whimsy and choose your own adventure. 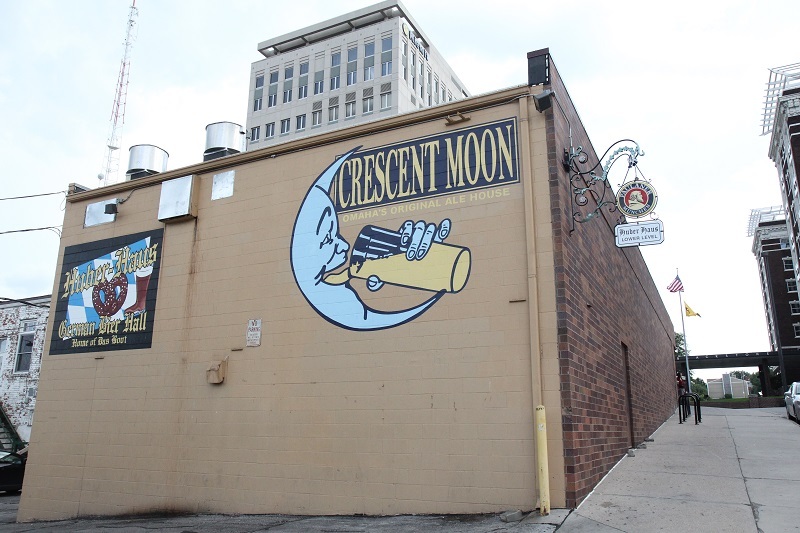 There is the Crescent Moon, a comfortable neighborhood tavern, with a varied menu, knowledgeable and passionate servers and frequently rotating draft list. Huber-Haus German Bier Hall serves—you guessed it—Bavarian-inspired dishes and imported beers. Or go to Max & Joe’s, a Belgian beer tavern. Stock up on the trip home by stopping into Beertopia, but be warned: You might need to buy an additional suitcase. 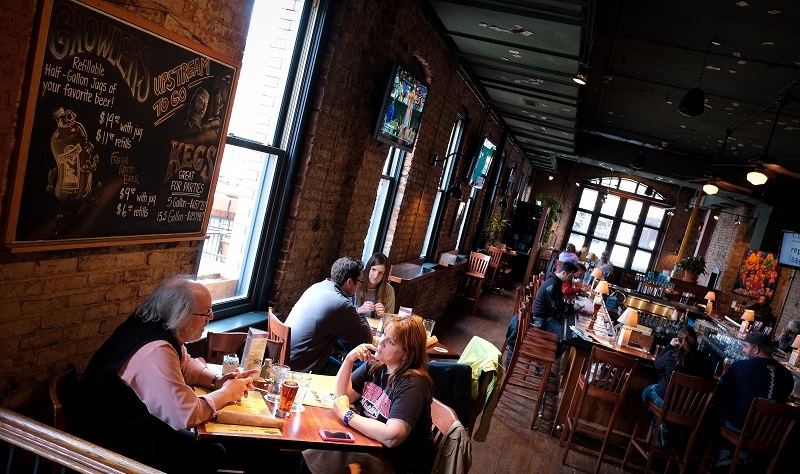 While it’s not technically part of Beer Corner USA (because of different ownership), don’t miss the chance to stop into the Farnam House Brewing Co. (3558 Farnam St.), a brewpub specializing in European-inspired beers. If you’ve yet to eat at any of the aforementioned places, The Grey Plume (220 S. 31st Ave. #3101) is just a few blocks away and is one of the country’s best farm-to-table restaurants, under the command of James Beard Award nominee Owner/Chef Clayton Chapman. Wind down at The Slowdown (729 N. 14th St.), often called one of the best indie-rock music venues in the nation. Or get one last beer at Upstream Brewing (514 S. 11th St.), a local favorite known for many good things, including cask ale. Brickway Brewery & Distillery (1116 Jackson St., Omaha) has just what you need to ease into the day. Get a flight of beers or a house-made Bloody Mary that has just the zip and kick you deserve on your last day in town. Ranked among the top zoos in the nation, stop by the Omaha’s Henry Doorly Zoo & Aquarium (3701 S 10th St., Omaha) to visit the animals. With the world’s largest indoor desert and nocturnal exhibits along with one of North America’s largest indoor rainforests, don’t miss the chance to visit our primate cousins and visit the Hubbard Orangutan Forest and Gorilla Valley. Should plan a trip to Lincoln, Nebraska. Zipline Brewing Company is among best in the state. Also have a number of craft beer bars with Hop Cat opening soon.